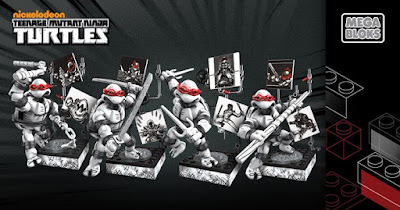 THESE TINY TMNT TOYS ARE AMAZING! I came across these Teenage Mutant Ninja Turtles toys a couple months ago and picked a few up on a whim. They were small, and had really good packaging and design- so I thought, why not? It turned out that it was a great idea, the blind bag Mega Bloks Ninja Turtles are a bit frustrating, because it's reduced to a marketing ploy to get parents to buy many of them in search of finding the ones their children might want. But, regardless, these things are super awesome. 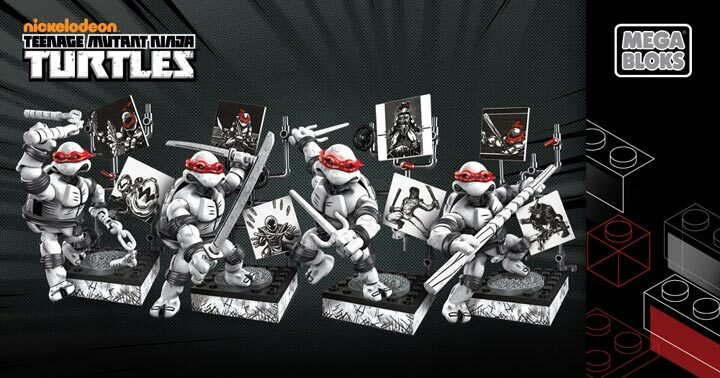 Especially the Classic TMNT ones that are in small boxes that allow you to see what you are getting. Both the versions from the Nickelodeon television show and the ones based on the 80's cartoon are damned cool. 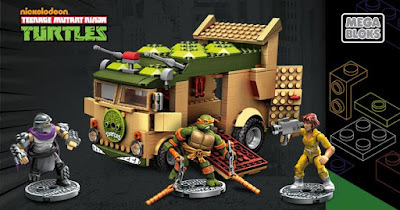 This is exactly the type of Ninja Turtle kind of toy I would've wanted as a kid. The toy designs are spectacular and the articulation for them is quite impressive for their tiny size. For the Nickelodeon blind bags I got really lucky and found Michelangelo, Raphael, and a Foot Soldier. Raph has a spray can and a "Mikey" graffiti tag across the back of his shell and hilarious angry eyes. These things are amazing and I went searching for more. I've found some pics of upcoming waves that include Slash and Splinter, but no release date information. I'm also hoping for a Metal Head at some point soon. 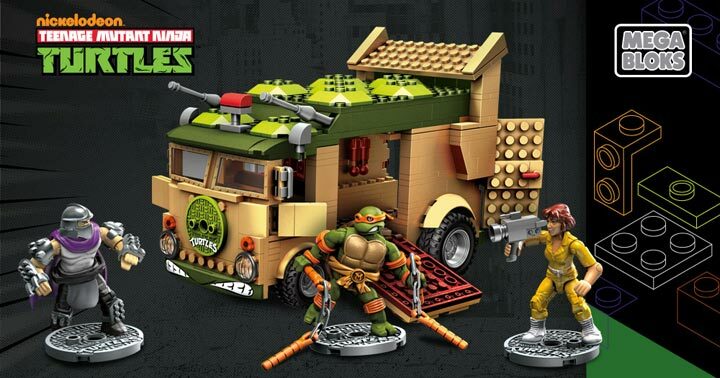 The TMNT Classic Mega Bloks toys are equally impressive. Tons of articulation, well made weapons, and tremendous paint jobs, they are truly a small version of the classic toys. In fact they are extremely close to the much larger NECA Classic Collection toys, which were inspired by the original Playmates toy line from the 80's. Again, I went seraching for more pics of what toys are on the way, and Toy Ark has a ton of stuff. 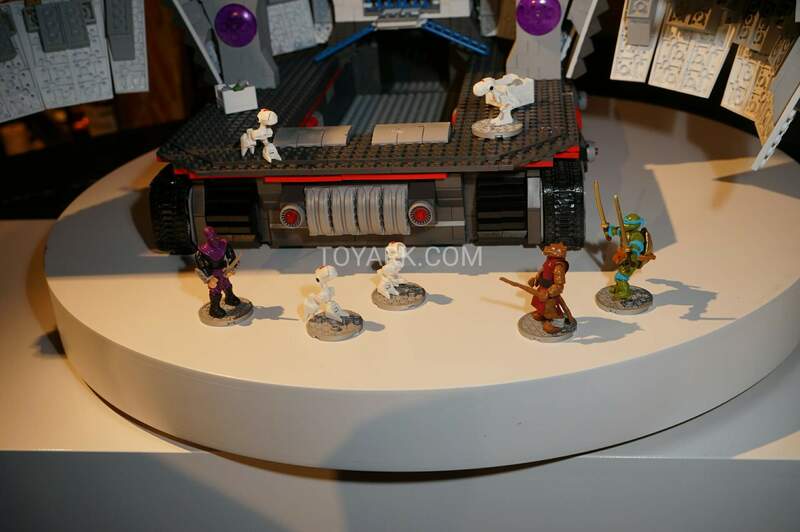 Including an amazing Technodrome that I noticed has both a cool looking Classic Splinter as well as a bunch of Mousers! These have brought me back to action figure hunting. I'll be searching for all the incoming waves like a druggie looking for the next hit. I like these way more than the LEGO ones for certain. I want them all! Even the Teenage Mutant Ninja Turtles 2: Out of the Shadows ones, as I think the Krang design is pretty neat.